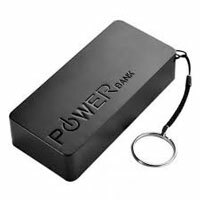 Here is a Power Bank for charging your Mobile phone while traveling or in the event of power failure. 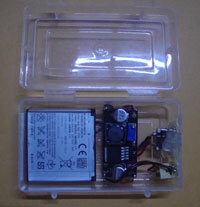 This power bank can deliver 4.5 Volts with reasonable current to charge the Mobile phone quickly. It can charge the Mobile phone 3-4 times . The Power bank uses a 4.5 V Rechargeable battery that can be charged using the Mobile phone charger or from the USB port.